Here are five essential elements to ensure your mobile Search Engine optimization (SEO) success. Page load speeds can have a significant impact on mobile user-experience and conversions. Based on research by the Nielsen Norman Group, Google wants mobile pages to load in one second or less to deliver a positive experience, and keep the user engaged. More than one second disrupts the users' flow of thought. According to Google, the average mobile page load speed today is over 7 seconds. Because page load speed is crucial to creating a positive mobile user-experience, it is essential to a successful mobile SEO strategy. While it isn't clear how much of a direct impact mobile page load speed has on rankings, Google is stressing its importance because of the impact on user experience, and what is good for user experience is good for rankings. User experience is the single most important factor for the success of a mobile SEO strategy. Even top retailers struggle with the mobile experience. User experience impacts a site's ability to engage visitors, which we know has a direct impact on rankings. More importantly, it impacts a site's ability to generate conversions. Therefore, ensuring your site provides mobile users with a great experience can improve your site's rankings, as well as its ability to engage and convert visitors into customers. As you continue reading, note that all of the essential elements discussed tie back to user experience. Google is constantly making strides to improve mobile user experience. A mobile search Engine Optimization strategy that aligns with this goal will be more successful than a strategy that focuses primarily on rankings and traffic. A mobile-friendly site, whether responsive or dedicated, will be fundamental to a successful mobile SEO strategy. The growth of mobile traffic is surging. According to the reports, smartphone traffic increased 125 percent as compared to desktop growth, which increased only 12 percent. However, desktop SEO will remain equally important, This same study found that smartphone users converted at only one-third the rate of desktop (and tablet) users, and much of this has to do with poor smartphone user experience. There remains a lot of debate as to which is better, a responsive or a dedicated mobile site. The truth is that there are pros and cons to both, and the answer is whichever option will best meet the needs of your customers. A site's design and usability can have a profound impact on its ability to engage and convert, especially for mobile users who view websites on smaller screens. Providing information in an intuitive and easily digestible format, big buttons, and clear calls-to action will make a world of difference when it comes to a site's ability to engage and convert mobile-users. Usability should trump design, and unnecessary design elements should be eliminated. They will only make a site appear cluttered on mobile devices, and decrease page load speeds. With the introduction of Google's Hummingbird algorithm, understanding mobile user intent, conversational search queries, and voice search is essential to a successful mobile SEO strategy. An SEO strategy should always be guided by the needs and wants of your intended audience, and the needs and wants of mobile users are often different than that of desktop users. For example, smartphone users in particular are often looking for something local and have high purchase intent. According to Google, 69 percent of mobile users expect businesses to be within 5 miles of their location, and 55 percent of mobile users want to purchase within the hour. With this understanding, a local business, or a business with multiple locations knows that making their physical address(es), hours of operation, and contact information readily available to mobile searchers through a mobile-friendly website and Google+ Business Listing will improve conversions, and are elements that should be prioritized. Understanding mobile-user intent also impacts the types of keyword phrases an SEO strategy should incorporate. It will no longer be enough to simply combine keywords with a location. Keywords will have to be considered in context as more mobile users utilize voice search and ask search engines specific questions. Since these search results are determined in large part based on the mobile user's location, an SEO strategy that promotes the dental office location and incorporates conversational search terms within its content, may have an edge over competing dental offices in the same area. Mobile SEO should not really be considered different from desktop SEO. Rather, they are two parts of a complete SEO strategy. 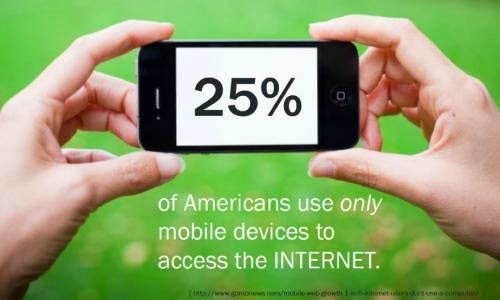 Consumers utilize multiple devices to research the products and services that interest them. A Search engine optimization strategy that allows consumers to find your products or services and provides a great user-experience, regardless of device, will be the best SEO strategy.